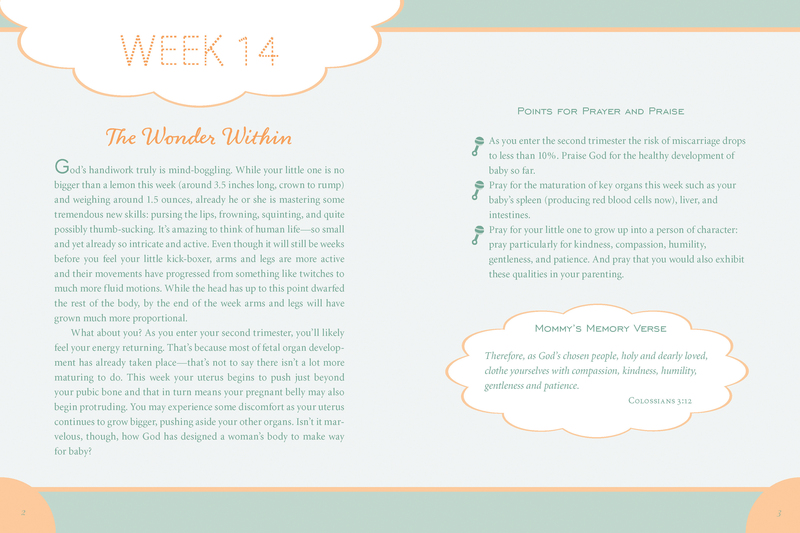 Each week of the devotional begins with a short overview of the wonder unfolding inside you, first with your developing baby and then with you. 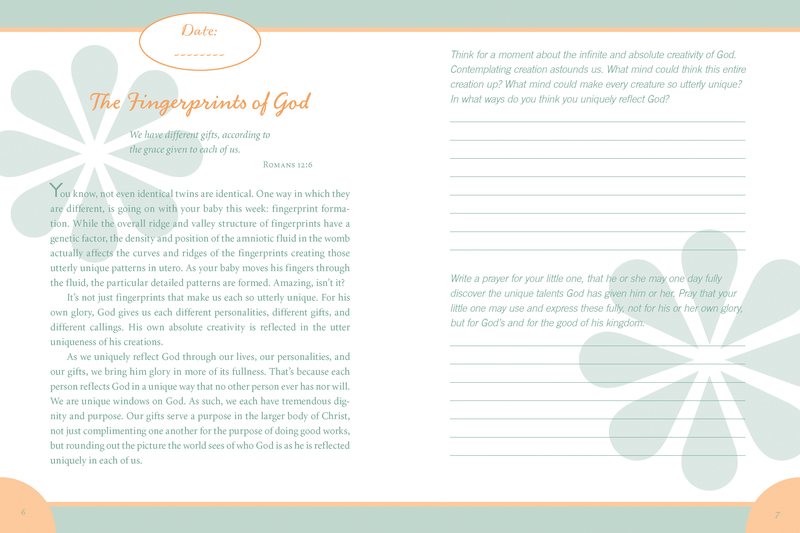 You will also find specific points for prayer and praise for the week and a relevant memory verse. Each devotional entry is followed by two questions. The first question will lead you to wrestle more deeply with biblical principles in that entry. The second question will lead you to record a memory, a prayer, or a note of love for your developing baby. 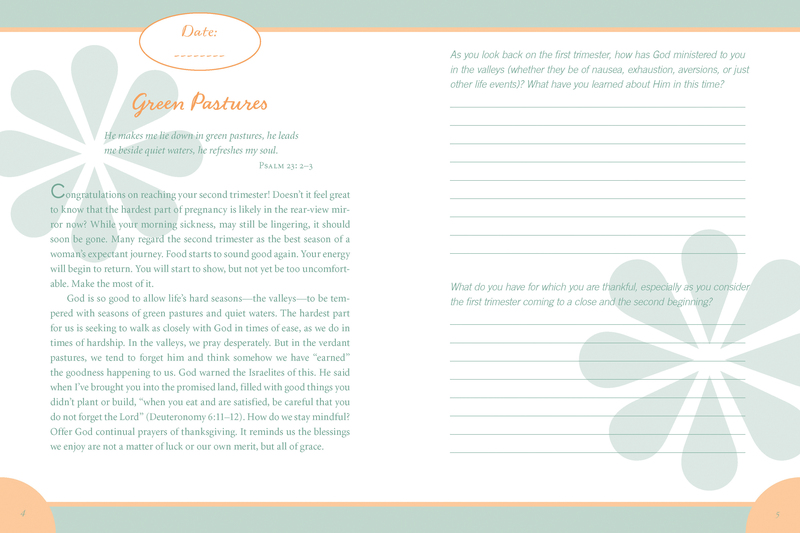 The book includes devotional entries which take you from week 5 of pregnancy (around the time most women find out they are pregnant) through the end of pregnancy. 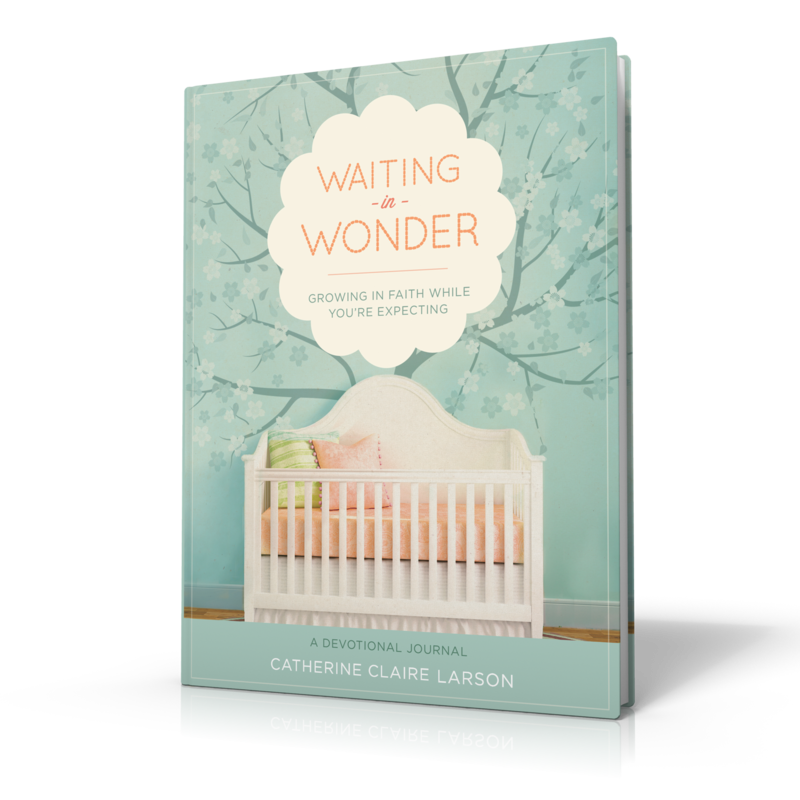 By the time you are through, you will have both a record of how God has grown and prepared you for the journey of motherhood and a precious keepsake to share with your baby.